UPDATED ON 6 January 2002 ! !WELCOME BACK TO THE NEW AND IMPROVED!! Well, I am finally in San Antonio, Texas! I apologize to all of you who might have sent in some pics over the last couple of months. I still had my old e-mail address listed below, adn no way to get on here to change it. I am back up and running and need some more pics to add, so re-send them if they aren't in here. I am in the process of revamping and moving the site to a different address, but it will probably take some time. It will definitely be posted before it happens. Glad to be back and look forward to the pics! Please be patient, images may take a while to load depending on your internet connection. The Ranch is updated weekly now! Get your pics in and share them with your fellow Jeepers! Please be patient as there are quite a few pictures on this site. The uploading time will vary depending on your internet connection. UPDATE on the new Dakar and IKON (pictured above). I now have the full specs in a word document which will be underneath the pictures on page 9 (Also have some new pics of the dakar too). This is a MUST SEE for all Jeep lovers. You can check out a nice pic of a roll-over on page 10. Very sweet!! And the rest of the pages are of Jeepers around the world! Be sure and check them all out!! Here are some sneak peeks! The thumbs will take you right to the page. And please sign in the guestbook (up top) and let me know what you think. I am always looking for better ways to improve the site. Thanks! Welcome Jeep Lovers! This page is dedicated to all you proud Jeep owners. It is a home where you can show off your prized possession. 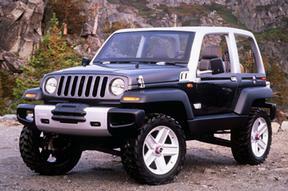 It is a collection of Jeeps, not limited to Wranglers, of different shapes and sizes. There are so many different things you can do to spice up your Jeep, it would be a shame not to share them with others! 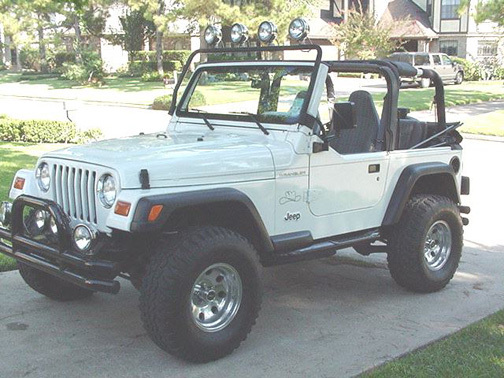 Send in a picture(s) of your Jeep, and your name if you want it posted, and it will be put in the Ranch. Send all pictures to jasong1@cybersurf.de It could also give others some ideas for their own Jeeps. This site is new, but growing very fast. So help out and send in your pics. 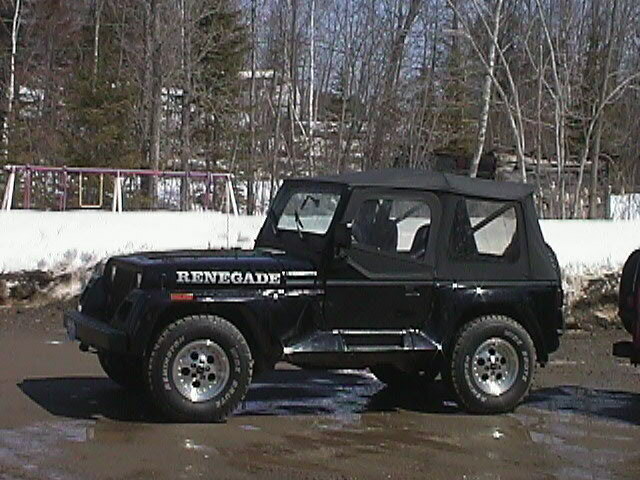 I got some new pictures of Ryan's Jeep after it's new paint job! Check em out onpage 24! The Ranch has been visited times since it opened on 5 may 98. 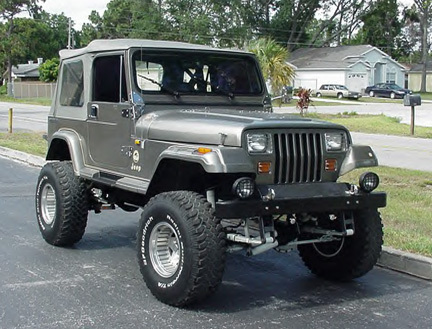 You can check out the Jeep Gallery by clicking on one of the pages below, or go to Jeep Gallery at the top! There are new pages added weekly so if you know of any fellow Jeepers, get them to send in their pics! !